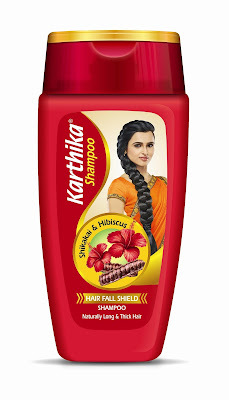 Diversified FMCG Conglomerate, CavinKare, today announced the national foray of the shampoo variant of its significant herbal hair care brand, Karthika. 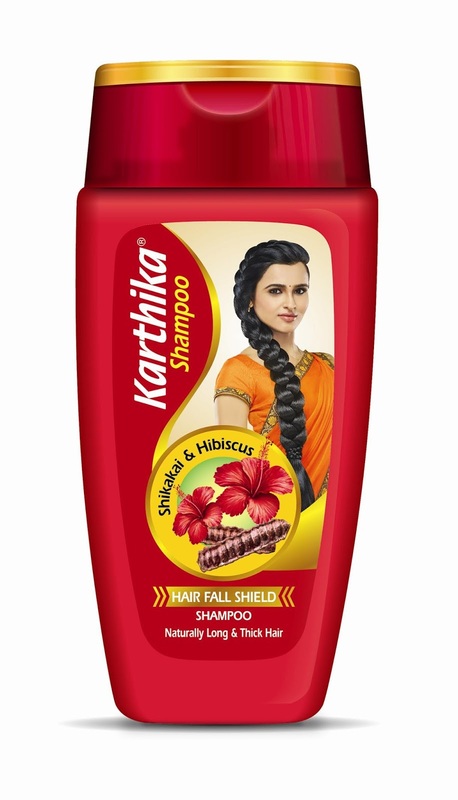 Karthika shampoo has a presence in 2.14 cr households across South India as per ‘IMRB Kantar World Panel’s Household Purchase Panel data for Apr-Mar’16”. Karthika is a well established dominant player in the segment and also enjoys a strong consumer base across leading metros and rural regions in South India. This successful product from the house of CavinKare, will now be available across leading retail outlets and neighbourhood shops in India. The product was launched in the year 2006 in Andhra Pradesh followed by subsequent launches in Tamil Nadu, Karnataka and Kerala. The shampoo will be available in three different variants like Hair fall Shield, Dryness Shield and Damage Shield. Hair fall Shield contains Shikakai and Hibiscus which helps to control hair fall. Dryness Shield variant rightly blends the benefits of Amla, Henna and Aloe Vera. Damage Shield variant combines the goodness of Reetha and Fenugreek and helps to grow long and thick hair. The newly launched variants are packaged attractively and available at Rs.1 for sachets, Rs.10 for 35 ml bottle, Rs.40 for 80 ml bottle and Rs.95 for 175 ml bottle. CavinKare is a diversified FMCG major with business interest in personal care, professional care, dairy, snacks, foods, beverages & salons. The brand portfolio consists of Shampoos (Chik, Meera, Karthika and Nyle), Hair Wash Powders (Meera & Karthika), Coconut Oil (Meera), Fairness creams (Fairever), Deodorant & Talc (Spinz), Pickles & Snacks (Ruchi, Chinni’s & Garden), Hair Colours (Indica), Retail Salon Products (Raaga Professional), Beverages (Maa), Dairy (Cavin’s), and Beauty Salons (Green Trends & Limelite). Most of the brands are clear winners in their respective product categories. A dedicated R&D center equipped with latest equipment and technologies constantly supports the divisions in their endeavour. Today with a turnover of over 1200 crore, CavinKare has achieved many significant milestones while acquiring a competitive edge backed by sound understanding of the dynamics of mass marketing to establish a firm foothold in the national market. CavinKare’s success is based on it being firmly grounded to its corporate mission- ‘we shall achieve growth by continuously offering unique products and services that would give customers utmost satisfaction and thereby be a role model’.